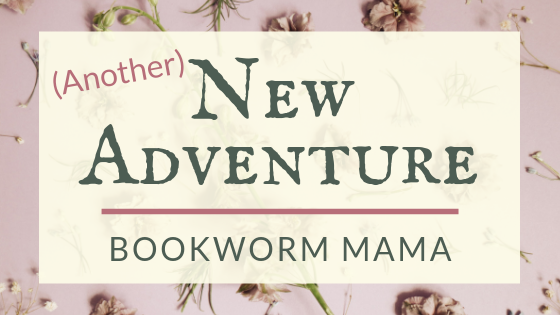 It seems like every time I turn around I am writing another post about a fun new adventure that I am embarking on. It is so exciting and a little (ok a lot) scary, but so.much.fun! This time, however, I am also going to need to take a huge step back on the blog. (Insert sobbing) Never fear! This is not the end of Bookworm Mama, I'm just turning my focus in a different direction for a while. As I am sure you have noticed, this summer (and fall) have been CRAZY around here. Between 2 family reunions, around the house projects, working as an author assistant, and now with the school year in full swing, homeschooling my 1st grader is a priority. Balancing homeschooling, housework, working, and my other bookish commitments has been tough the last couple of months. So I am going to be posting a lot less on the blog. I will still review the books I read for influencer teams and blog tours here. And you will be able to find more articles and reviews at my new "home" over on Hope by the Book! For some reason, I can't seem to say no to these new adventures. 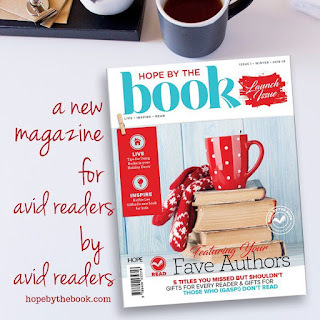 And ultimately, it's all thanks to you, MY READERS, that I've entered into this amazing new role of Associate Editor for Hope by the Book magazine. 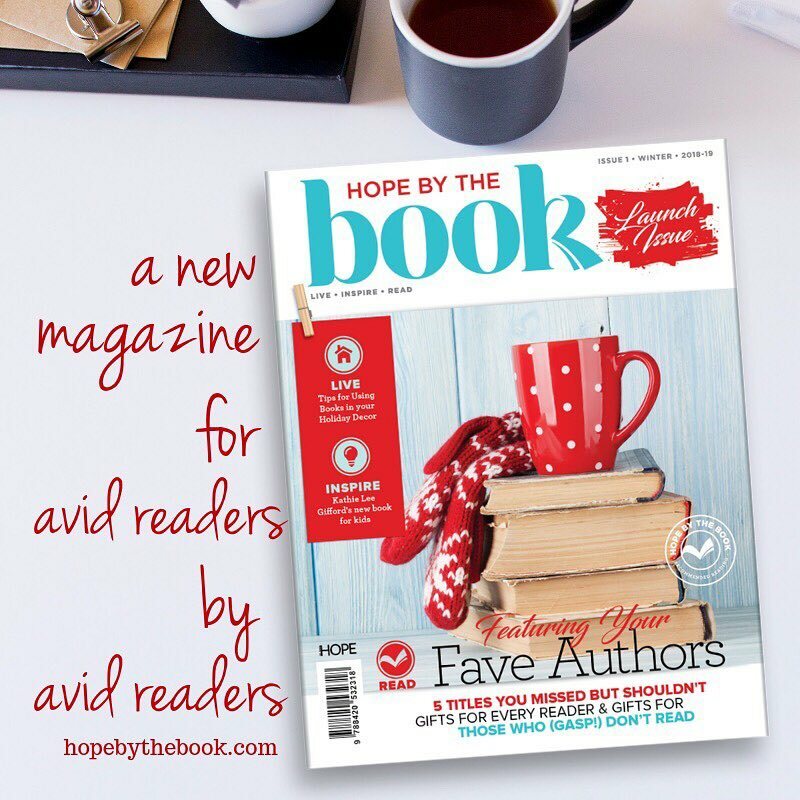 If you haven't seen the buzz going around social media yet, this is a NEW magazine for avid readers, by avid readers. The first issue will be launching in November and trust me, you are NOT going to want to miss it! Check out the website for a taste of what is to come! 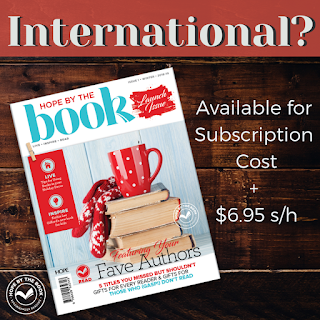 And use the code BOOKISH for a special discount when you subscribe! Needless to say, launching a new magazine is not an easy task. I am so thankful for the team of amazing ladies that I get to work with on a daily basis! Carrie, our fearless leader, is the Senior Editor for this magazine (Reading is my SuperPower). Along with Beth (Faithfully Bookish) and Annie (Just Commonly). A better team, I couldn't ask for. Now, this is where I need you! Yes, YOU...My bookish people...We are looking to build our team. Please email me (or use the contact form) if you would be interested in reviewing books or writing articles! So, has this year been a crazy year? You BET! Have doors opened that I never even dreamed were a possibility? Affirmative! Am I excited to see where God is going to direct my path next? Darn tootin' I am! Thank you all, so much for always being so supportive of the dreams I share with you and for being an encouragement! 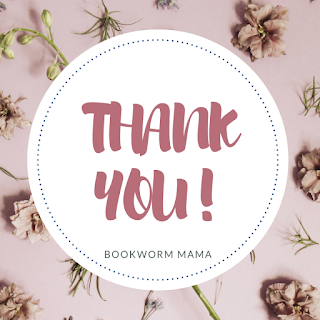 If I hadn't started Bookworm Mama 4 years ago when my son was in the hospital...And if I didn't have readers to support this journey...I wouldn't be where I am today! Fun times! :) I love the cover art on the magazine.